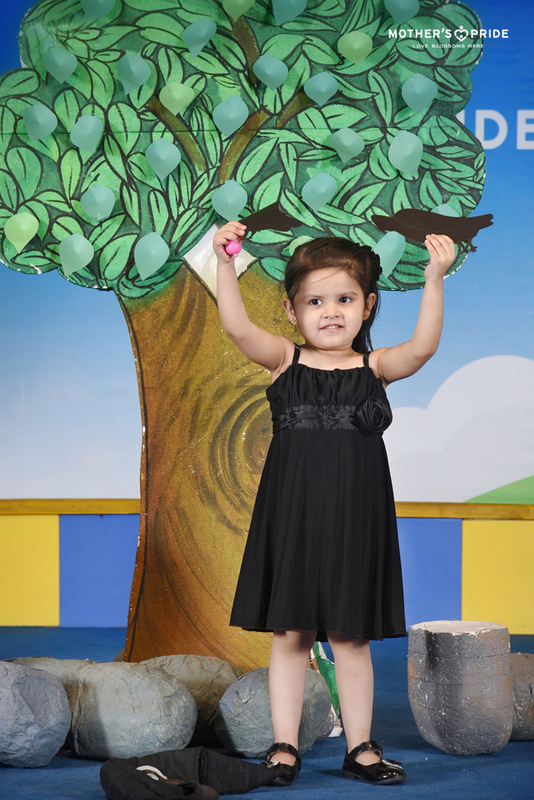 The goal of early childhood education should be to activate the child’s natural desire to learn! 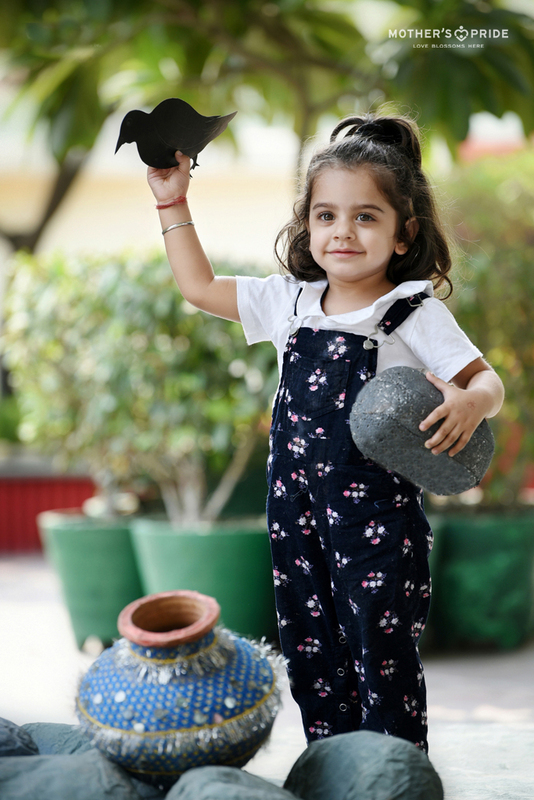 All the curricular activities are planned using an integrated approach, wherein the child is encouraged to recognise and learn attributes, colours and shapes of related items through a single concept. It is a wonderful medium of interactive instruction and is a great source of bringing real learning opportunities to little kids. 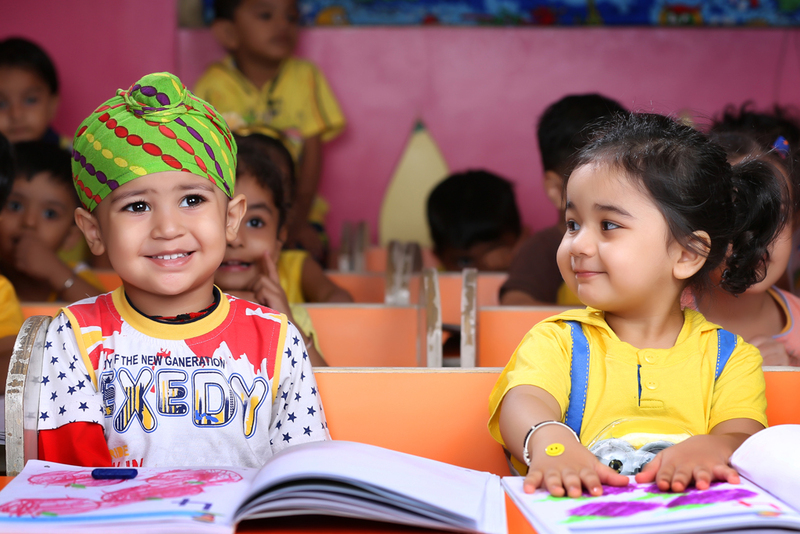 They are introduced to letters, numbers, concepts and the theme of the month involved through a range of fun-filled activities like story-telling and ID sessions. Children have an innate love for stories. They have the power to create magic and a sense of adventure in the classroom. Stories are a great way to teach children about life. 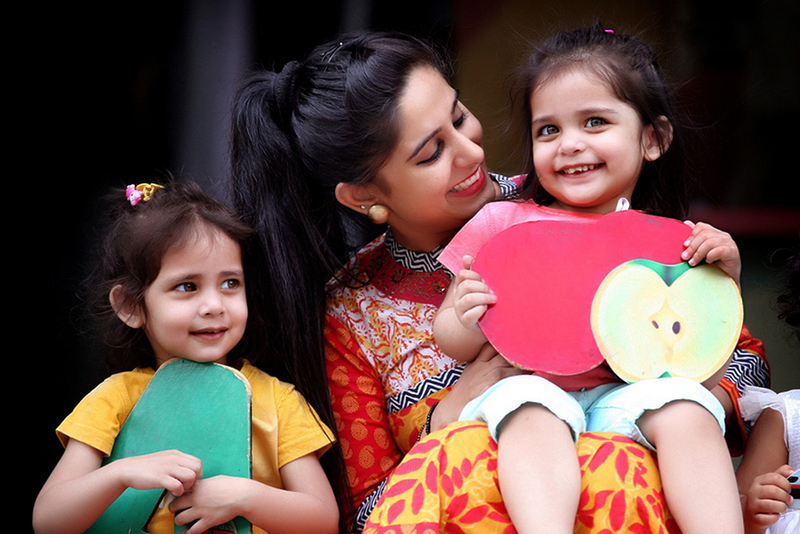 At Mother’s Pride, storytelling is a unique way for children to develop an understanding about the world around them. It creates interest among them as the character comes to life in front of them and captures their attention & imagination. 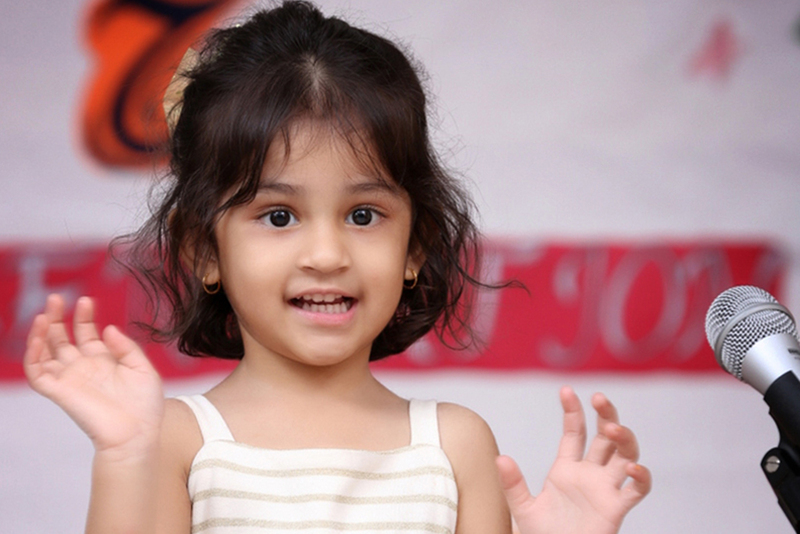 Children learn about topics like good social habits, traffic rules and sharing through stories. 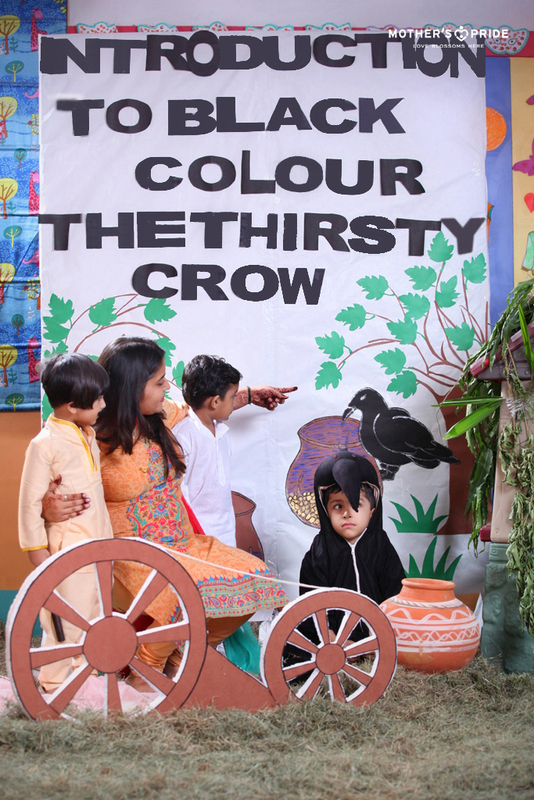 They also develop language and imaginary skills as they narrate and listen to stories. Although, there is no big manual for mental development of kids, there certainly are great fun activities and amazing teacher! 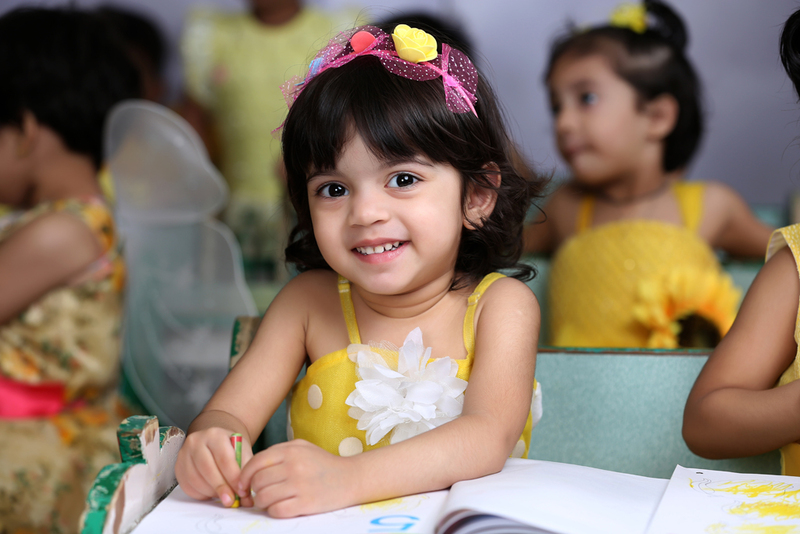 At Mother’s Pride, through meticulously designed intellectual development sessions children learn about various concepts. 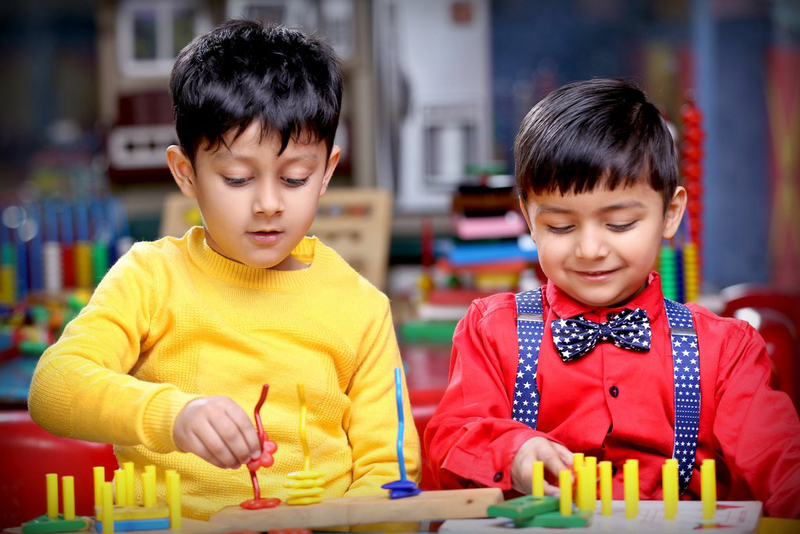 Designed around a child-centric approach the Prideens are engaged in intellectual activities like solving puzzles and building towers to develop memory and observation skills, problem solving, sequencing and seriation. When they slide, flip, and turn things, they develop hand-eye coordination, analytical and fine motor skills in an interesting manner. 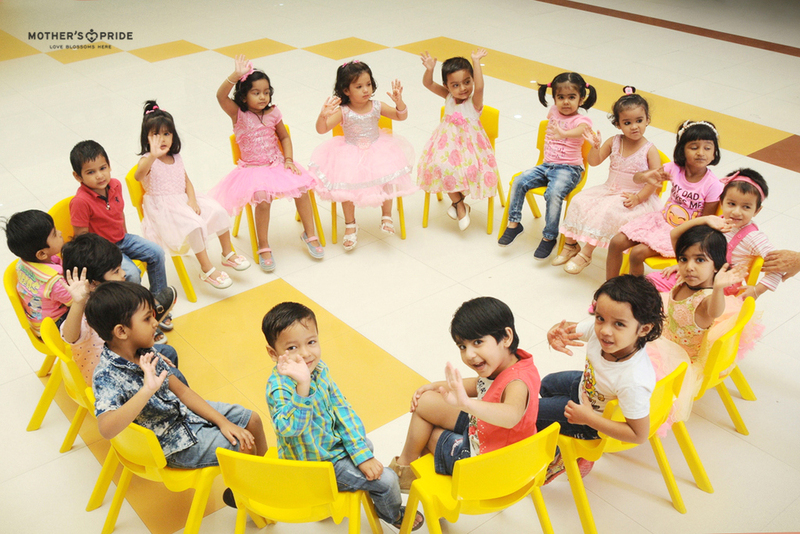 Language development is yet another focus area for us and to achieve this, we teach the little ones through rhymes and songs. They are a great way to help anyone remember words and concepts. Using different rhyming words helps children develop an ear for phonics, thus, making it easy for them to create words by combining sounds. 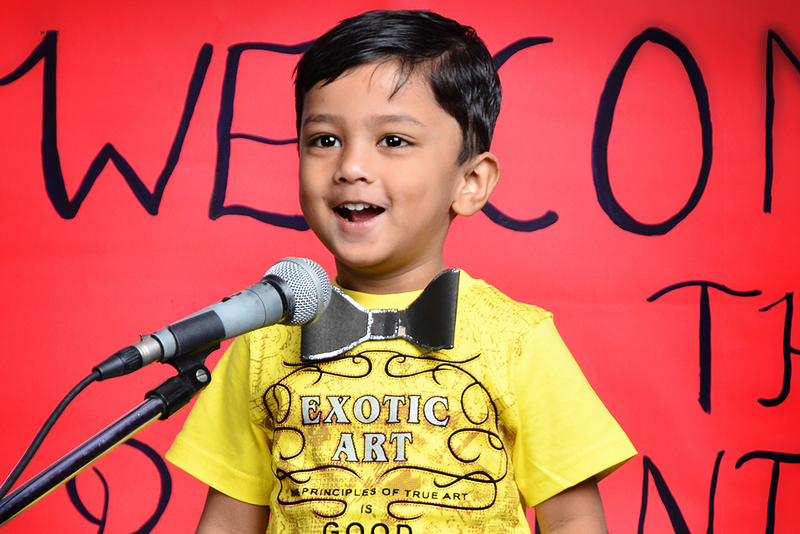 Teaching them rhymes & songs also helps them become better readers in future. Our little darlings look like a delight when they imitate the teachers by making funny faces and movements to match the words. 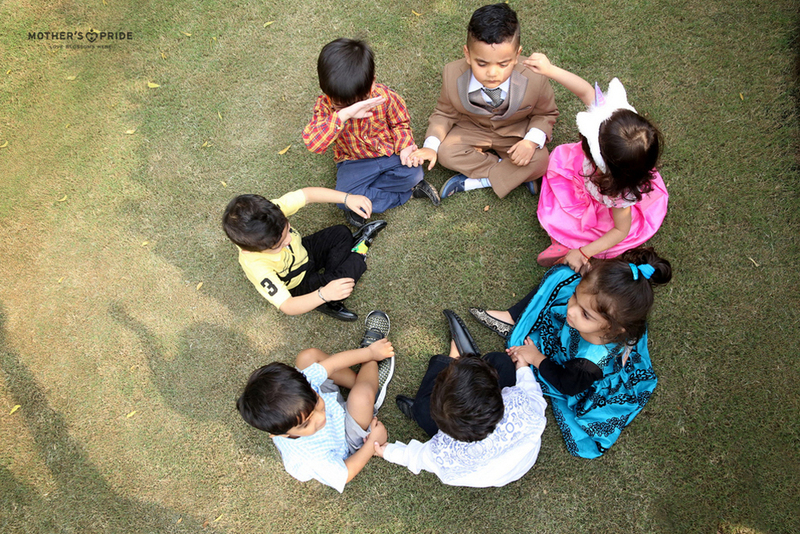 Circle time is the time when friendship blossoms as children interact, socialize and share their thoughts and experiences with each other. 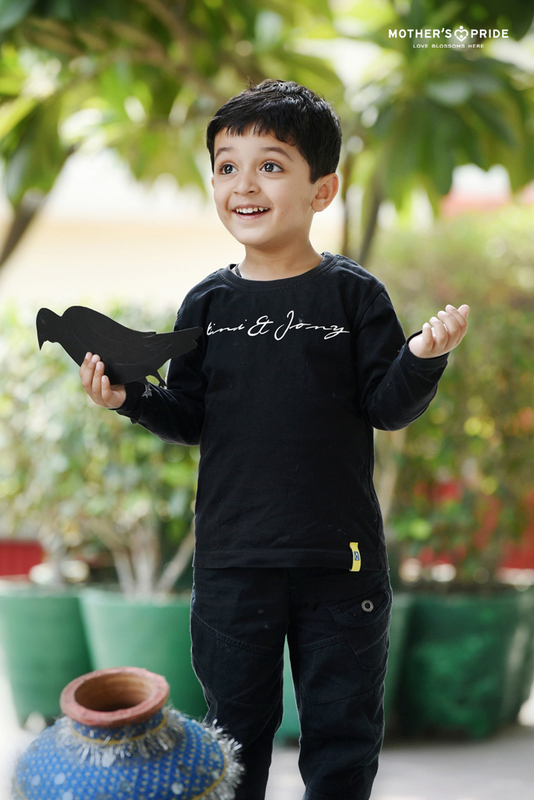 Various activities are designed, creating opportunities for kids to experience the joy of talking and communicating with each other. 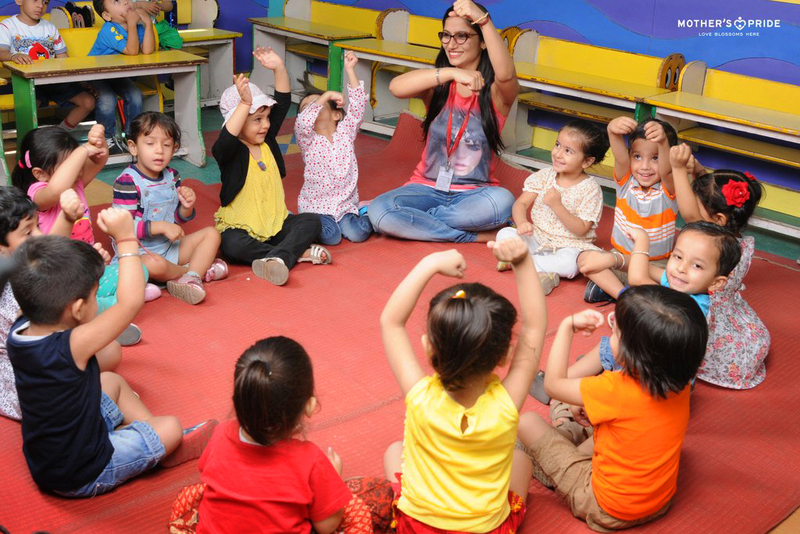 On a regular day, the teacher and children gather together in a circle to create a rich weave of rhymes, games and songs. Developing social, emotional, and personal skills are some of the primary objectives of the Circle Time. 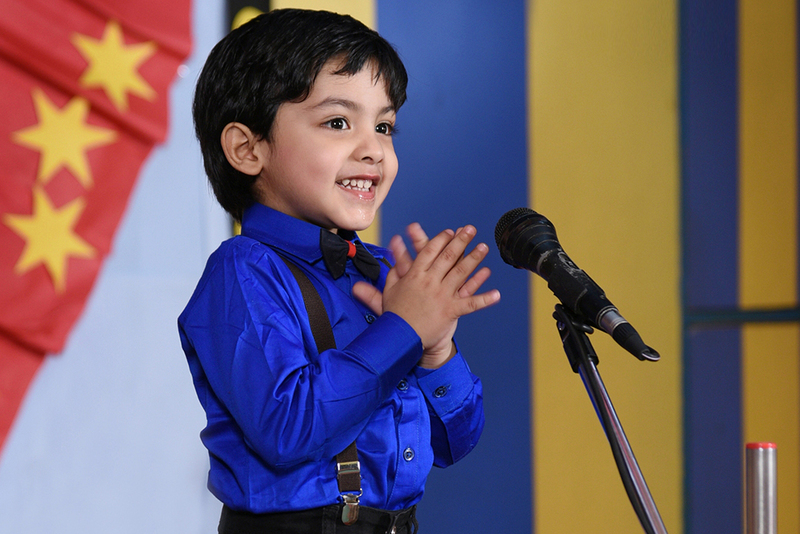 The activity also fosters problem solving skills, language building and confidence as children are encouraged to express their views freely.